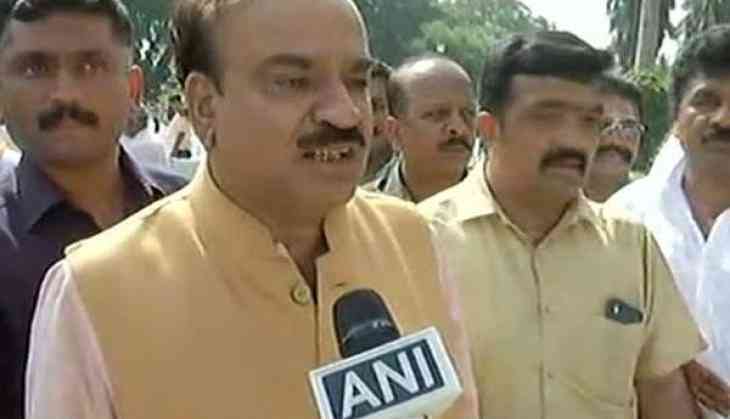 Union Minister Ananth Kumar on Wednesday said Congress party chief Rahul Gandhi, his mother Sonia Gandhi and former Karnataka Chief Minister Siddaramaiah ruined the Congress. The union minister said that the Congress leaders should protest against their party. "If Congress wants to protest, they should protest against Rahul Gandhi, Sonia Gandhi and Siddaramaiah, as this trio has ruined the Congress," said Kumar. The statement comes after Congress and JD(S) moved to the apex court last night, challenging Karnataka Governor Vajubhai R. Vala's decision to invite the BJP to form the government even when the saffron party, with 105 MLAs, including one Independent MLA, is seven short of the halfway mark of 112. The coalition argued that they, with a total strength of 115 MLAs, are in a better position to form the government.The Supreme Court, however, sealed the deal in favour of the Bharatiya Janata Party's (BJP) B.S. Yeddyurappa who took oath as the 23rd Chief Minister of Karnataka at Raj Bhavan earlier today.